Established in 1877, the Westminster Kennel Club is America’s oldest organization devoted to the sport of purebred dogs. The organization and show pre-date the invention of the lightbulb, the car, basketball, and the World Series in baseball. The Westminster Dog Show pre-dates the founding of the sport’s governing body; the American Kennel Club was not established until 1884. In the first Westminster Dog Show, there were entthere were entries in 35 breeds and a Miscellaneous Class. This included a dog described as a cross between a St. Bernard and a Russian Setter, as well as a two-legged dog named Nellie. A portion of the proceeds from Westminster’s first show was donated to the American Society for the Prevention of Cruelty to Animals—the ASPCA. In 2015, more than 700 press credentials were issued to media representing twenty countries. In 1946, a tugboat strike delayed the show. 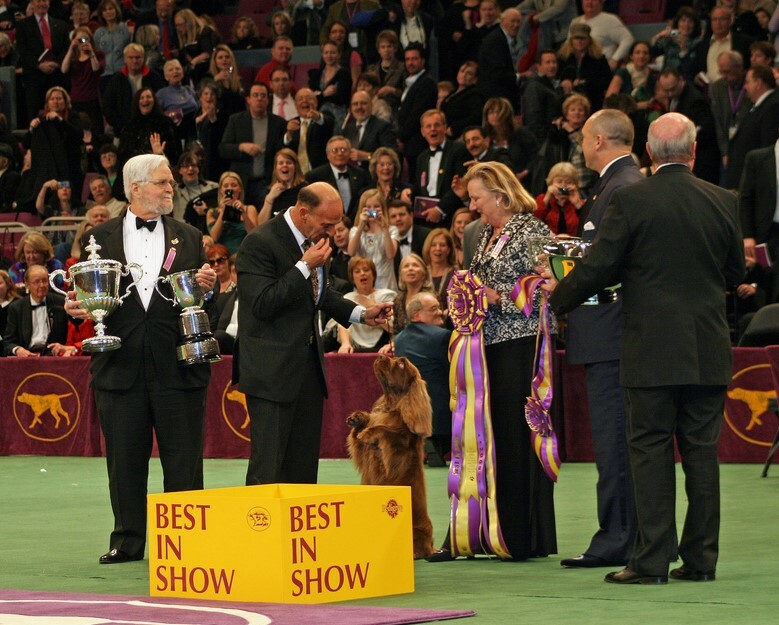 The oldest winner in the show’s history was a 10-year-old Sussex Spaniel named Stump. After his win, Stump was featured in AARP Magazine. Each year’s Best in Show is treated to a gourmet meal at the world-famous Sardi’s restaurant in Manhattan. David Frei, the communications director for the show, is also a champion dog breeder, handler, and judge. There is no official dress code for the humans participating in the Dog Show.